Aspirinox Alloys Inc. is a leading professional Carbon Steel API 5L Gr. X46 PSL 1 / PSL 2 Pipes manufacturer and supplier based in India, known for its products and offerings throughout worldwide. The offered range of API5L Grade X46 Carbon Steel Pipes is a quality steel pipe used in complex water, oil & gas transportation application area. The industries mainly include aerospace, construction, oil & gas, power plant, and wastewater. All the variants of API 5L Carbon Steel Pipes are available in various grades and diameters so that they fit the needs of our customers aptly. We produce Carbon Steel API5L X46 PSL 1 / PSL 2 Seamless Pipes ready stock for applications in Oil Refineries, and Petrochemical industries. Carbon Steel Pipes are offered in a large collection of API5L Gr. X46 PSL 1 / PSL 2 Carbon Steel Welded Pipes which are made using optimum grade materials. We design and fabricate different types of API5L Carbon Steel Pipes which are offered to our clients as per their requirements and specifications. 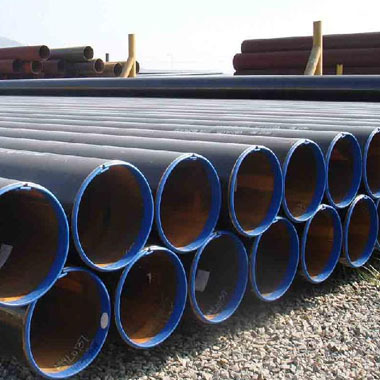 We manufacture all of our API5L Carbon Steel Grade X46 PSL 1 / PSL2 Line Pipes in various diameters and thickness, as well as shapes like Round, Rectangular Pipes, Oval Pipes, Hollow Pipes and Square Pipes, are in compliance with the industrial standards. Our professional workforce supervises each and every step of the fabrication process to certain that all the API5L pipe sizes that we deliver to our clients are in accordance with the necessary specifications. We assure all our customers that our API5L pipes prices are reasonable and various diameters and Thickness as per their requirements and demands. Contact us for further details. Specifications for API 5L X46 PSL 1 / API 5L X46 PSL 2 Carbon Steel Pipes. If any specification is not mentioned here, please use the contact button for quick quote. Contact us or click on the below button to request the latest API 5L PSL 1/PSL 2 Grade X46 Carbon Steel Pipes price list. Aspirinox Alloys INC is dedicated to providing the world-class API 5L PSL 1/PSL 2 Grade X46 Carbon Steel Pipes that cater to all your demands at very competitive rates.